J Mascis has put Dinosaur Jr. on the backburner for a bit, with the alt-rock guitar god's Tied to a Star, his second solo LP for Sub Pop, due to land on August 25. Ahead of the street date, though, Mascis is letting the whole of this softer set of solo songs stream on Exclaim.ca. 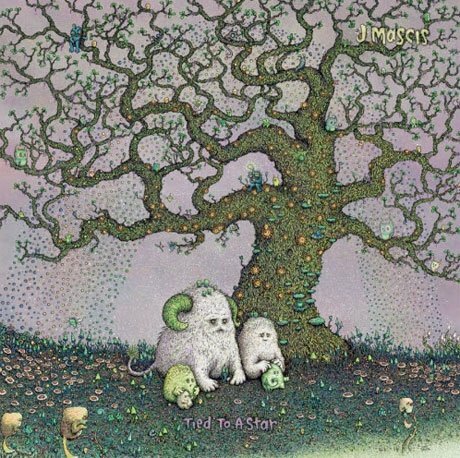 As previously reported, the album features 10 new, generally acoustic-assisted songs that were recorded and produced by Mascis and then mixed by John Agnello at the Bisquiteen studio in Amherst, MA. While earlier this summer listeners got a taste of the set via the trickle-picking "Wide Awake" collaboration with Cat Power, other highlights including the falsetto-filled, autumnal strummer "Me Again," the subtly fuzzed-fried "Stumble," and the elegant, campfire-meets-chamber music feel of the piano-assisted "And Then." The record likewise features guest spots from Black Heart Procession's Pall Jenkins, Mark Mulcahy of Miracle Legion and Ken Maiuri. You'll find the final results down below, where you can stream the album in full in Canada.